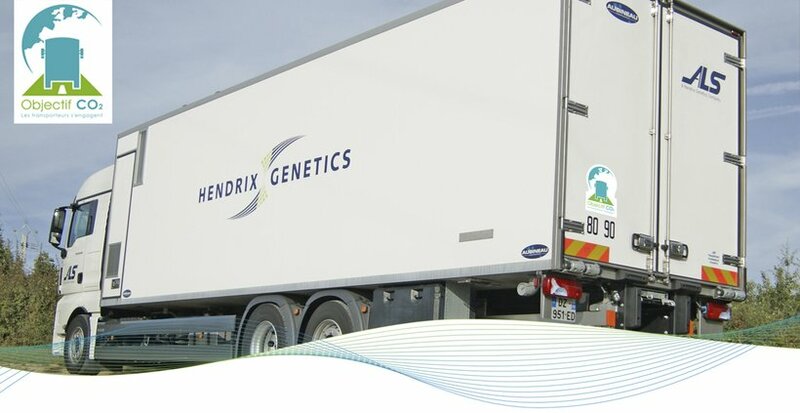 As part of a global movement against climate change, ALS, the specialized trucking company of Hendrix Genetics in France, has signed up for a voluntary program designed by the French authorities to reduce CO₂ emissions. Since the launch of the Hendrix Genetics Sustainability Program five years ago there has been a clear focus on the reduction of our footprint. From the start, our in-house trucking company ALS has pro-actively participated in this program. In 2012, ALS started a program with a focus on reducing the carbon footprint of our fleet that drives over 7 million km/year. Via driver training, better planning, and upgrading vehicles to have cleaner engines, overall fuel consumption was reduced significantly. ALS continuously invests in environmental programs. After our first initiatives in 2012, we see this program as an obvious next step. The combination of certification and employee engagement for a lower footprint is a very promising collaborative approach. Last year, after carrying out an initial CO₂ diagnosis, ALS decided to join the French national voluntary program ‘Objectif CO₂’. The overall 3-year target is set at a 5% reduction, to lower emissions by approximately 250 tons. According to the U.S. Environmental Protection Agency, that is the carbon equivalent to almost 1 million kilometers driven by a passenger car or taking 53 cars of the road. Cédric BOURGEAU, responsible for the implementation of the program, gives a few examples of initiatives already in progress. We have installed a GPS location system in all our heavy goods vehicles. This system allows us to control the routes, but also to react efficiently to last minute modifications of the planning. In the next three years our fleet will transfer further into the digital area; embedded computers will enable us to receive technical and personal feedback in real-time to optimize every trip and manage the total fleet in a better way. The training we initiated in 2012 was an excellent start, but drivers must be encouraged to practice eco-driving daily, since driving is the result of years of habits and reflexes that must be changed. Finally, in addition to the reduction of our carbon footprint, we will see improvements on safety and our accident rate will drop. In light of the Sustainable Program of Hendrix Genetics, we are even considering extending our program to all drivers of company cars like technicians, sales people, etcetera. 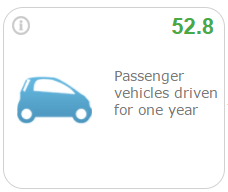 Eco-driving is a win-win for all. Our company saves between 1% and 2% on its annual fuel consumption and reduces maintenance costs of vehicles. But also our drivers are personally winning when they apply their newly trained skills driving their personal car.